French oil giant Total said Tuesday it had launched crude oil production at the second half of its Kaombo facility off Angola, sub-Saharan Africa's second-largest oil producer. The Kaombo Sul floating production storage and off-loading facility will add 115,000 barrels of oil per day and bring the overall production capacity to 230,000 barrels, equivalent to 15 percent of Angola's production, said the firm. 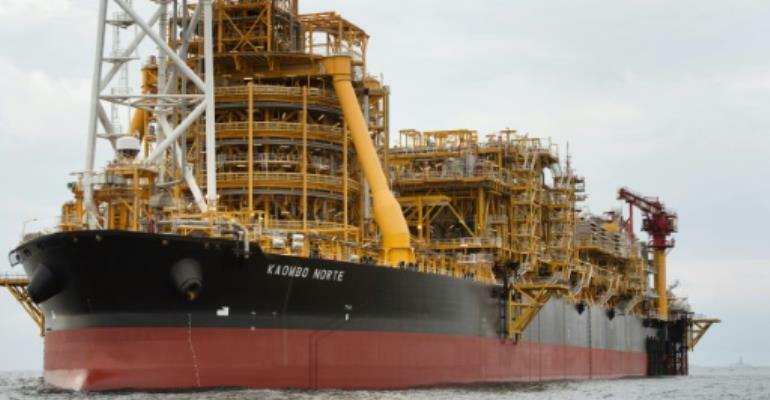 The Kaombo Norde facility launched operations eight months ago in deep waters 260 kilometres (160 miles) west of the capital Luanda. The two facilities, essentially converted oil tankers, will serve a planned 59 wells in six fields spread over 800 square kilometres (310 square miles) of sea that reaches depths of up to 1,950 metres. Total launched the Kaombo project in 2014, just before oil prices began to tumble from over $100 per barrel to as low as under $30. While hit by delays, Kaombo was not shelved unlike many other deep offshore projects which are more expensive than onshore wells. The project "stands out as an excellent example of standardisation to reduce costs and improve efficiency" Arnaud Breuillac, Total's president for exploration and production, said in the statement. Kaombo's $16 billion price tag was 20 percent lower than originally envisaged. The project is important for Angola as oil represents 90 percent of the country's exports and accounts for 70 percent of government revenue.